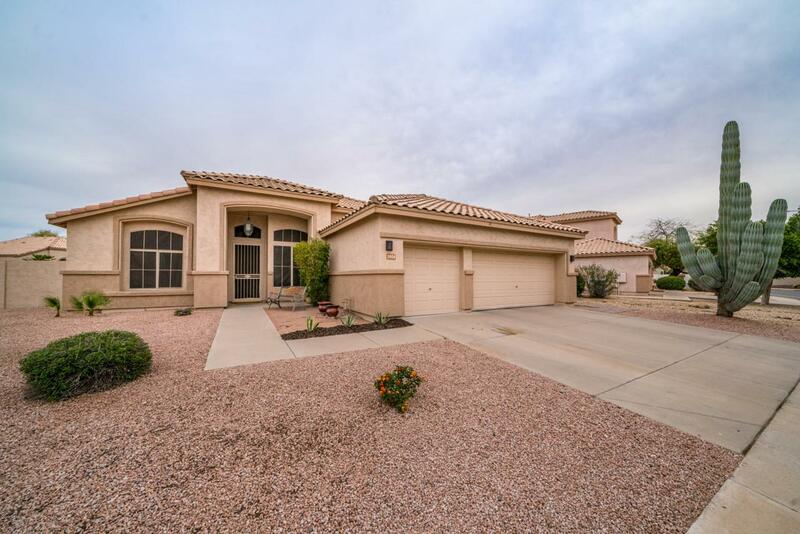 Move-in ready 4 bed/2 bath/3 car garage single-level home w pool situated on an oversized corner lot in Chandler's highly desired Clemente Ranch. 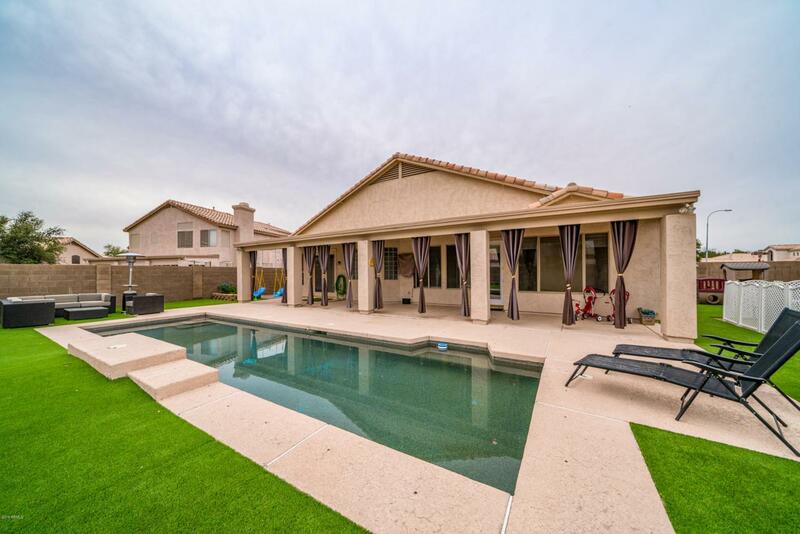 This home offers a spacious floor plan, tile in all the right places, vaulted ceilings, extended back patio, and more. 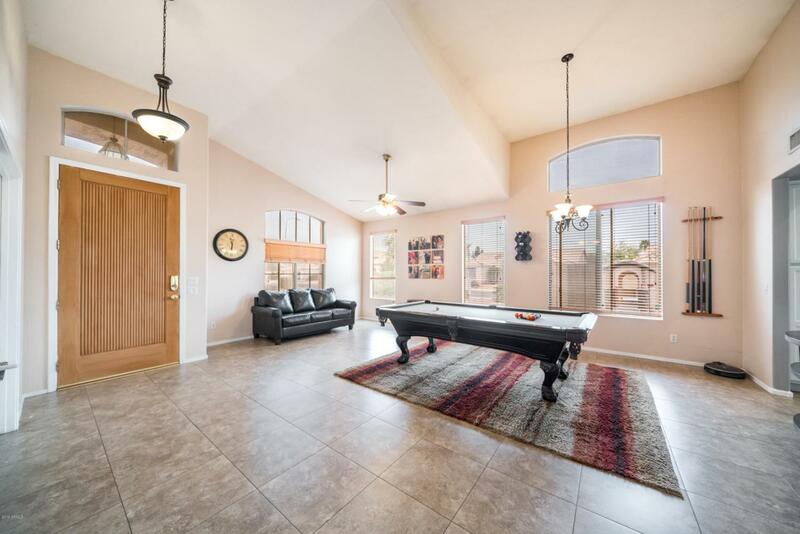 The open living & dining room offers numerous windows for an abundance of natural light. The large eat-in kitchen includes a center island, plenty of counter space & cabinets, gas range and opens to the comfortable family room. The master bedroom boasts private patio access, walk-in closet, separate his & her vanities, glass walk-in shower & jetted soaking tub. 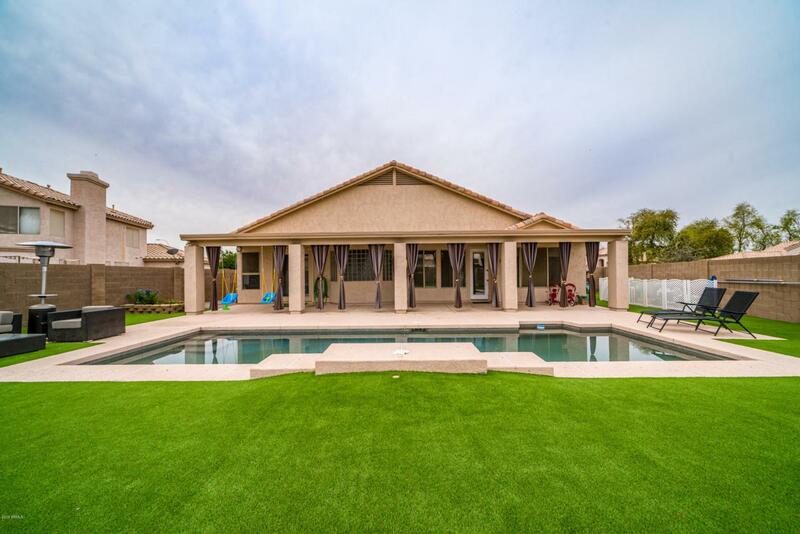 The beautiful backyard features a sparkling pebble tec pool w/ waterfall feature and low maintenance, high quality artificial grass for a gorgeous backyard setting.